Ahead of their ODI series, we look back at the clashes between Australia and South Africa at the ICC Men’s Cricket World Cup. Their meetings have not been short of drama, with Australia coming out on top three times, with one South Africa win and one pretty famous tie. 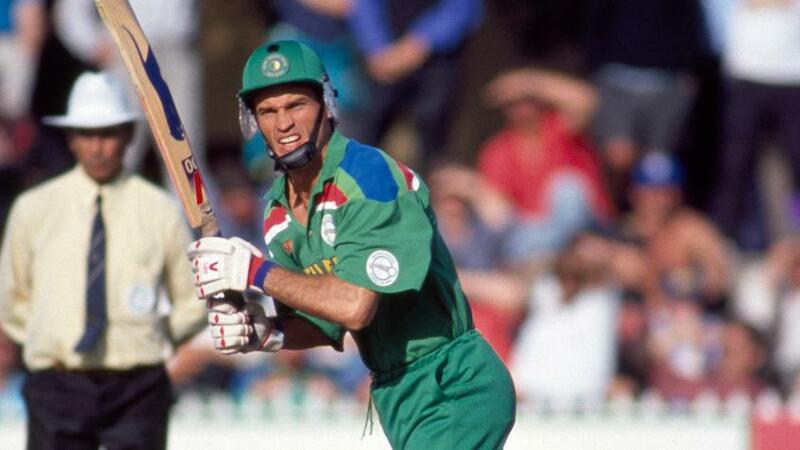 The sides’ first meeting at ICC Men’s Cricket World Cup came in 1992, South Africa’s debut appearance at the tournament. Ironically, it was Kepler Wessels – making his World Cup debut for South Africa after representing Australia at the 1983 edition – who stole the show. As was often the case, Allan Donald led the way with the ball, claiming 3/34 as South Africa restricted Australia to 170/9. Proteas captain, Wessels, then hit an unbeaten 81 to lead his side to a nine-wicket victory, helped by 49* from Peter Kirsten. A lot rested on this Super Six tie for Australia in 1999, as a win against South Africa would secure their place in the semi-final. South Africa batted first and set a respectable target of 272 to win. The key men were Herschelle Gibbs, who scored 101, and Daryll Cullinan who hit 50. Gibbs impressed with the bat, but it was his fielding that would make the headlines. Australia found themselves in a difficult position early on as they lost the key wickets of Adam Gilchrist, Mark Waugh and Damien Martyn and found themselves on 48/3. Enter Australia captain Steve Waugh, who with Ricky Ponting, turned the game in their favour. On 56, Waugh flicked a ball to mid-wicket where it appeared Gibbs had dismissed him with a catch, but in his rush to celebrate, he ended up dropping the ball. Waugh’s response has since gone down in cricketing history as he is rumoured to have told Gibbs: ‘You just dropped the World Cup’. Waugh went on to record 120 not out and, in the process, led his team to a historic five-wicket victory with just two balls to spare. Just four days after their epic Super 8s clash, the sides met in arguably the greatest ODI of all-time. Having bowled out Australia for 213, South Africa sat on 213/9 with four balls remaining. Lance Klusener, who had been in sensational form throughout the whole tournament, was on 31 and on strike, needing just a single to book South Africa’s spot in the World Cup Final for the first time in their history. The third ball of the final over was a sign of things to come, as Donald was very nearly run out at the non-striker’s end. Then came the drama. Klusener hit a Damien Fleming yorker straight, and while he ran, Donald didn’t. Eventually, Donald dropped his bat and attempted to complete the single. But, Fleming had already rolled the ball to Adam Gilchrist, who in turn took the stumps out and booked Australia’s spot in the final in the most dramatic of fashions. Three modern-day greats – Matthew Hayden, Ricky Ponting and Michael Clarke – all enjoyed some fun in the sun when the sides met in the group stages of the 2007 World Cup. Batting first in Saint Kitts and Nevis, Australia racked up a mammoth 377/6 from their 50 overs, with Hayden finishing with an incredible 101 off just 68 balls. 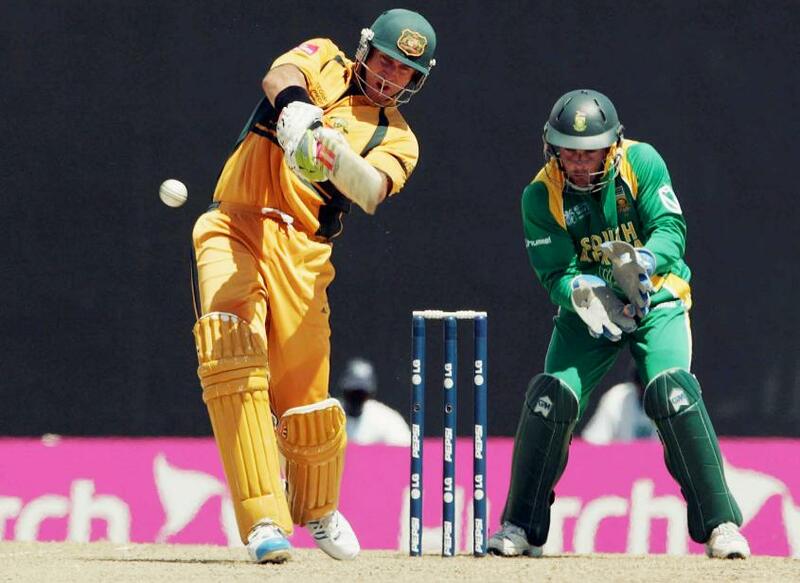 Ponting (91) and Clarke (92) made sure Australia finished with the then-third highest score in Men’s World Cup history. Despite AB de Villiers’ best efforts – he scored 92 off 70 balls – South Africa fell well short of the target, as Australia cleaned them up for 294, Brad Hogg taking three wickets. Australia inflicted more semi-final heartbreak on South Africa when they met in the last four of the 2007 World Cup. 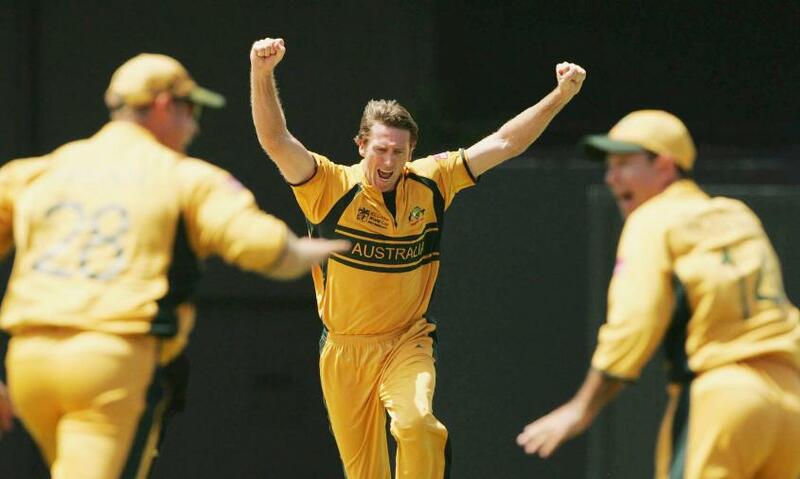 This time, it was Glenn McGrath and Shaun Tait who caused the damage for Australia, taking 3/18 and 4/39 respectively to bowl South Africa out for just 149. They wasted no time in chasing down the total, and despite the early loss of Adam Gilchrist, reached the target with seven wickets and 18.3 overs to spare, thanks to 41 from Matthew Hayden and 60* from Michael Clarke.